Hello friends! I hope you had a great weekend and Memorial Day. I had a very busy and exciting holiday weekend -- but more on that in a second. 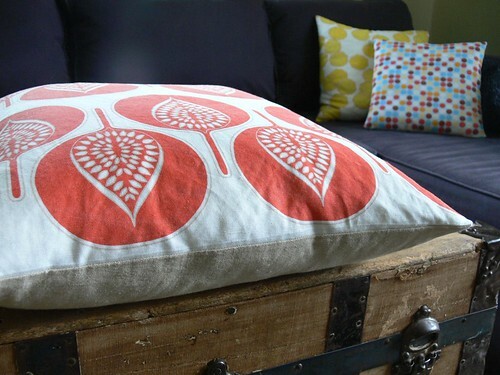 Before the weekend got rolling, I made pillow covers (and cleaned my house, which was so direly needed but much less fun!). 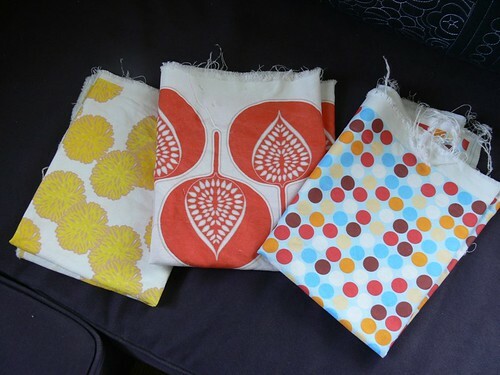 As you know, I had been prepping for this task for a while, spending some birthday money on gorgeous Spoonflower linen fat quarters and pondering possibilities. Quite ironic that while Jenny was working tirelessly on the fundraiser for the Alabama tornado victims, I was dealing with my own storm-induced drama! Luckily we just suffered some minor damage, small hole in the roof, damaged siding, and some crushed garden plants. But sitting in that closet (again) with the kids, scared half to death, hearing (and feeling the house shake from) the tree falling on the roof, I have a new sense of appreciation for everyone that has suffered from these amazingly powerful Spring storms we've been having. So, posting for me has been light, I have a ton of other things going on too. But there's always time to share a few links! 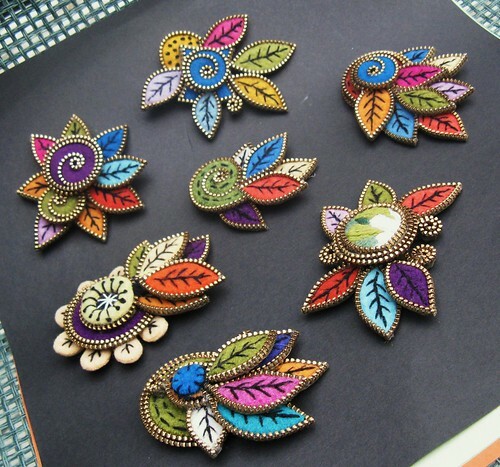 Creative and crafty endeavors relax me, looking at beautiful things is an escape for me. So I love sharing these inspirations with y'all every other week. Stitch Home Alabama: Prize Winners! Announcing giveaway and prize winners is both lots of fun and a huge drag. It's so exciting to tell the person who got drawn that they won. But it's a bummer to let everyone else know their number didn't get picked. In the case of our Stitch Home Alabama fundraising raffle, I feel like everyone who donated money deserves a gift. You guys are awesome. However, we started out with 5 prizes (well, 4 and then 5), and that is how many winners we're going to have. 90 people participated in the raffle and we assigned 334 tickets in order of the comments or emails' arrival in our inbox. Today, I let Random.org pick 5 numbers from the total of tickets. Here are the 5 picks in order, along with the winners' names! 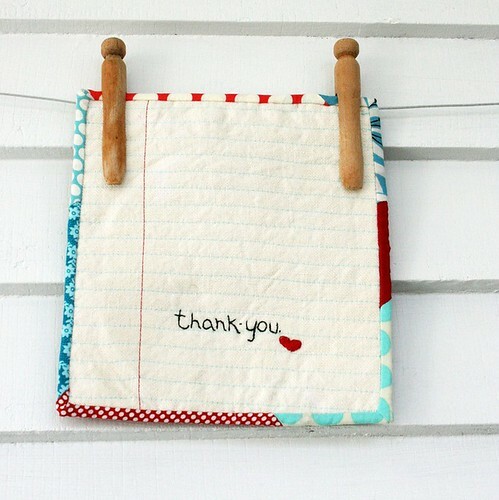 Stitch Home Alabama: Thank You! Good morning! Angel and I would like to thank all of you for participating in our Stitch Home Alabama fundraiser. A grand total of $3,540 was donated to the Salvation Army Emergency Disaster Services to help areas devastated by the April tornadoes in the American southeast. Thank you to our amazing prize donors. Without their generosity, we wouldn't have been able to get this rolling. Brought to you by the letter P! 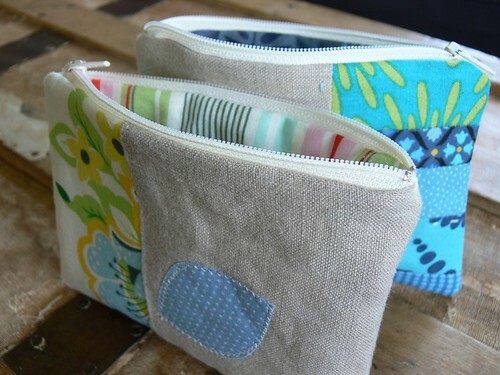 I have been so busy working on our fundraiser that I haven't had much free time to sew lately (Wait, "free time"? What's that?). No complaints or regrets, it's all for a great cause -- especially reading the news about the latest tornado disaster in Joplin. Horrifying and reminding us of the dire need for help in those devastated areas of the U.S.. I did carve out some time a while ago to make progress on my patchwork pouches since I had to send some out as birthday gifts (including one to you, Angel!!). At the time of my writing, we have raised $930. The fundraiser ends Wednesday night and our goal is $2000. The Southeast sure needs our help. Look up coverage of the tornadoes' aftermath on local news outlets and the reports are harrowing: damage, death, destruction and the grim reality of loss. When we started organizing this fundraiser, we contacted all our favorite shops, designers, bloggers, partners and friends. They were all so generous, it made our jaws drop! Here's a little round-up of these fabulous people and companies (in alphabetical order). 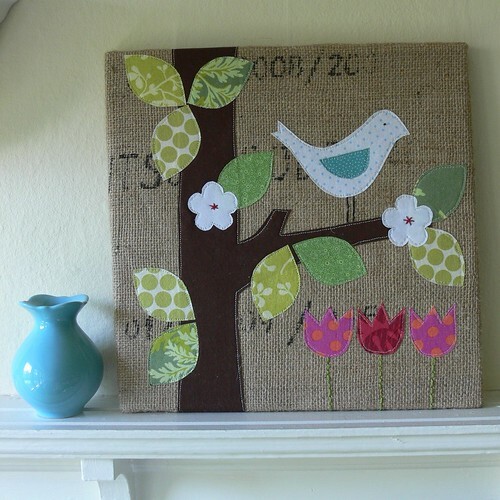 Craft Hope is an organization that brings crafty folks from all over the world together to help others by making handmade items that are distributed to areas in need. Founded by Jade Sims, a busy mama of three, Craft Hope is run by a "village" of folks just like you and me, with families, responsibilities and to-do lists a mile long. Their passion for helping others keeps them going strong! 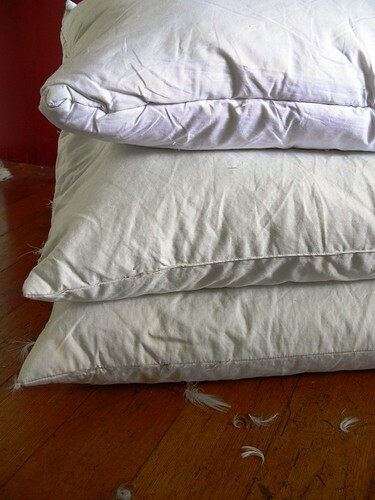 Craft Hope has recently launched Project 13, putting out a call for blankets for the survivors of the massive tornadoes that ripped through the Southeast a few weeks ago. Depending on where you live, you may not have heard much about these storms, and the ever-so-fickle news media has cycled out of this story so it is not getting much attention on TV, radio and online. But the needs are real and urgent. 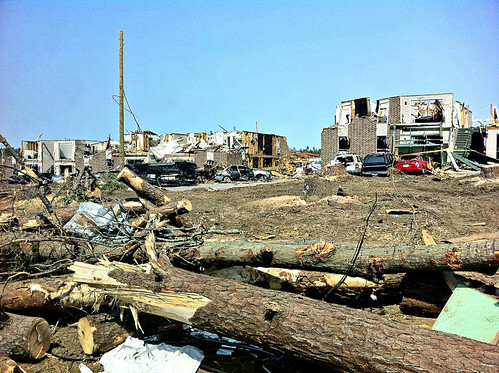 The tornado disaster is a cause near and dear to our hearts. Stumbles & Stitches is currently hosting a raffle to benefit relief efforts in Alabama and other southern states. (Go here to donate and enter.) We've participated in Craft Hope's wonderful projects before, and are planning on contributing blankets to this latest project. We hope you will too! It occurred to me yesterday, after we posted the information about our raffle to raise money for those affected by the tornadoes in the Southeast a few weeks ago, that many of you reading may not have heard much about these storms. The news media is fickle, and even down here in Tennessee where there was quite a bit of damage, the local news is hardly reporting about the devastation a few weeks later. Have you seen the pictures? Entire blocks of houses destroyed, businesses pulled up by their foundations and destroyed. Thousands of folks are homeless and the cost of the destruction is estimated to be in the billions. "Stitch Home Alabama" Fundraiser for the South! 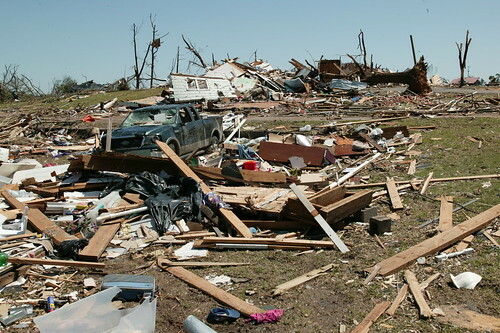 On April 27, 2011, a record number of tornadoes unleashed their fury against the southern part of the United States. 38 of Alabama's 67 counties were declared disaster areas. 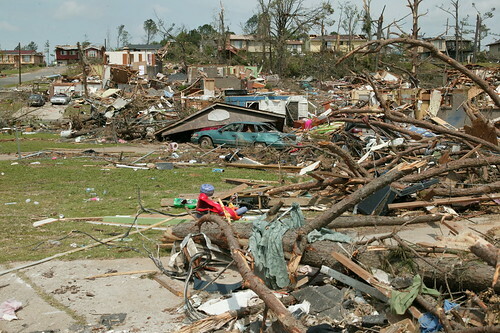 Arkansas, Georgia, Mississippi, North Carolina, Tennessee and Virginia also suffered massive destruction. People just like you and me lost homes, businesses and loved ones in this storm, the second deadliest tornado storm in U.S. history. At last count, over 350 people have died, thousands are homeless and the cost of damages is in the billions of dollars. Inspired by the craft community's efforts in other such disasters, we decided to rally and help. Stumbles & Stitches is hosting "Stitch Home Alabama", a raffle to benefit The Salvation Army Emergency Disaster Services in our tornado-ravaged southern states. The Salvation Army is currently operating 22 distribution centers across Alabama and Mississippi to provide items like food, hygienic products, clothes, cleaning supplies, and much more to survivors. "The best way to help tornado survivors and rescue workers is to make a financial contribution." We have received some amazing prize donations from favorite shops, partners and friends. Their generosity has been inspiring!! There are 5 awesome prize packages up for grabs in the raffle (more on that in just a second). 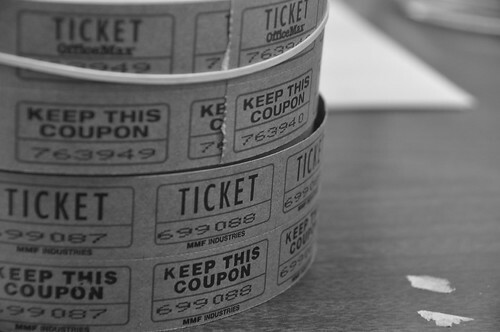 For every $10 you donate to the Salvation Army, you get a virtual raffle ticket. Donate $10, you get 1 ticket; donate $50, you get 5 chances to win a prize! Keep reading to see the prizes and find out how to enter the raffle. Our goal is to raise $2000 (or more!). 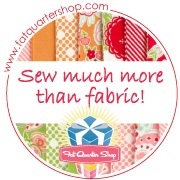 To kick things off, Stumbles & Stitches is donating $50! Will you be next? Thank you so much for participating in our "Stitch Home Alabama" fundraiser raffle, benefiting tornado disaster relief in our southern states! Here is where we will be assigning raffle tickets based on your donation amount, and tallying up the funds as they are raised. If you'd like more information about this fundraiser, please read our announcement here. To read all about the prizes and to enter the raffle, go here. Please donate to The Salvation Army Emergency Disaster Services and help us help the South! The following information will be updated daily until the fundraiser concludes on Wednesday 5/25 at midnight PST. 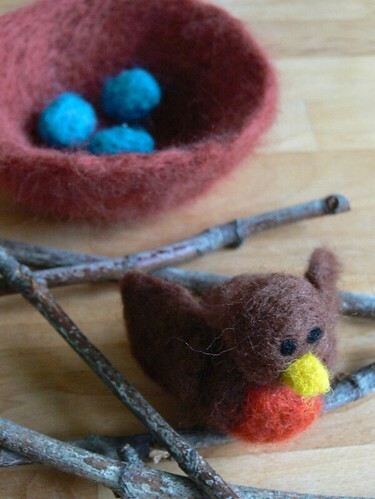 Congratulations to Kate S., the winner of our Felt Week Giveaway! Kate said: "And I love the penguins in the Etsy shop!" We will be in touch with you directly! And thanks again to A Child's Dream Come True and Rainbow River Designs for their generosity! For those of you that didn't win, don't forget the discount code from A Child's Dream Come True: if you order $40 or more online, use the code: STUMBLES in your shopping cart and 15% will be deducted from your order! Good through May 31, 2011. Well hello there! I just completed a project and thought I would share. A couple of blocks away from our house, there is an old tree with low hanging branches and moss-covered roots that break up the stone sidewalk. It is a place where we stop on every single walk, to climb, examine and admire. Lately, the tree's branches have been pink and white with blossoms and the floor underneath littered with petals, like a flowery snow storm just blew in. 3 gorgeous bright red tulips are growing at the foot of the tree. It's really quite a magical spot and it's inspired my latest project, which I've called "Spring Is In The Air". 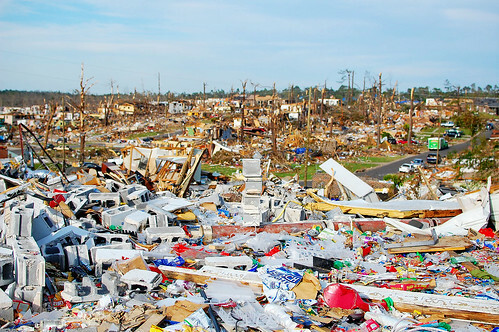 On April 27, 2011, dozens of tornadoes devastated the South in a massive storm that reduced neighborhoods to rubble and killed at least 342 people across 7 states. The twister outbreak was the second deadliest in U.S. history. 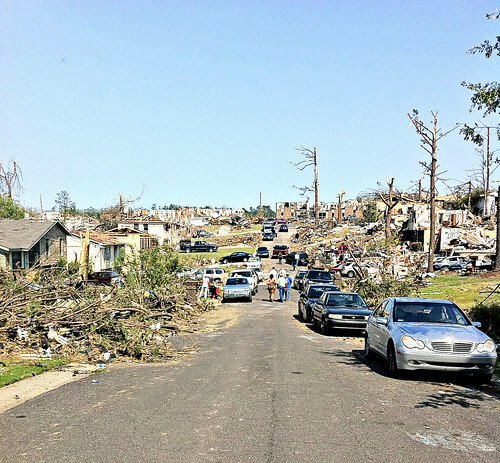 The state of Alabama was by far the hardest hit in the South, with at least 250 killed and major destruction in the city of Tuscaloosa. In March, the craft community rallied in an impressive fashion to help Japan in the wake of the terrible earthquake and tsunami disaster. It's time to come together again and help our neighbors and friends right here in the South of the United States. Stumbles & Stitches will be hosting a raffle starting this Wednesday 5/18 to raise funds for The Salvation Army disaster relief. Felt Week is coming to an end. We hope you enjoyed it as much as we did, and have "felt" inspired! What has been your favorite part of Felt Week? Let us know in the comments, we'd love to hear from you! The timing of Blogger's technical issues was unfortunate to say the least. We're still working on restoring 3 posts (Little Birdie, Tutorial: Needle Felted Strawberry and Focus on Betz White) and hope they'll be back up soon. We'll keep the Felt Week archives listed in the sidebar for a while, for easy access. Since the Blogger problems interrupted our giveaway, we're keeping it open a few more days. We'll close the comments on Tuesday 5/17 5PM PST and announce the winner then. Go enter here for a chance to win an amazing felt bundle and needle-felting kit from A Child's Dream as well as a spring doll from Rainbow River Designs! Please visit us next week, as we'll be hosting a raffle to benefit our tornado-ravaged southern states. Some very exciting prizes have been donated! Despite some stressful interruptions because of Blogger issues, Felt Week has been so inspiring and informative! We have a few more things still in store, so be sure to visit us over the weekend and go enter the giveaway by A Child's Dream Come True and Rainbow River Designs if you haven't yet! We wanted to compile a list of books that may come in handy for inspiration and instructions if you're interested in working with felt. It was hard to narrow the list down, there is SO much out there. But here they are! Felt Week: Meet Odile Gova from Woolly Fabulous! Today I want to introduce you to Odile Gova, an innovative, creative and resourceful artist that exclusively uses thrifted and recycled items! I was introduced to Odile by Lisa Jordan after I asked Lisa what fiber artists inspire her, and once I saw Odile's Flickr stream, I knew I wanted to interview her for Felt Week! Odile was kind enough to answer some questions for me, here they are! 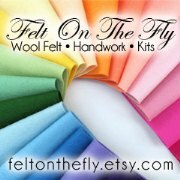 Felt Week is moving right along, are you inspired yet? 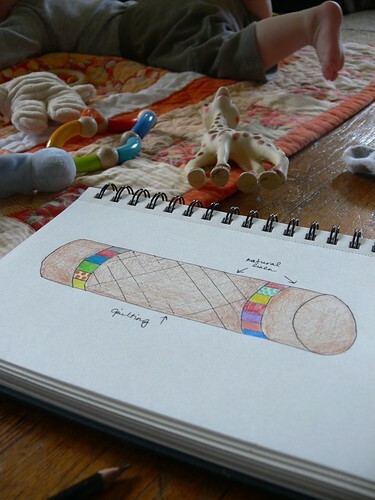 We've shared some incredible fiber artists with you already. Today I would like to focus on another amazingly talented person who works with felt: Betz White. Betz White is an author, designer and green crafter. 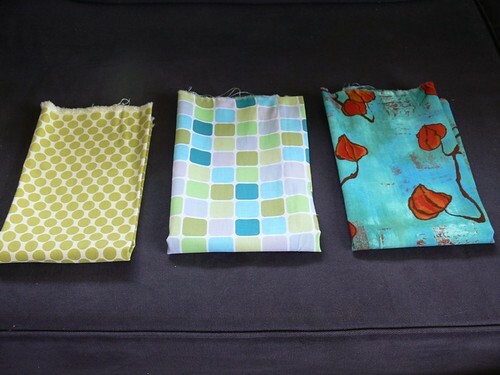 She has published two fabulous books (more on those in a minute), constantly comes up with adorable projects on her blog, sells lovely felt items and patterns (among other things) in her Etsy shop, and has designed her own modern and organic fabric line. She recently announced that her first organic fabric line for Robert Kaufman will be released this July as part of their GreenStyle collection. Betz is currently very busy at Quilt Market! Felt Week: Meet Lisa Jordan from Lil Fish Studios! I mentioned in another post that I don't truly consider myself a needle felting artist. I mostly stick to tutorials and patterns created by others, and while I might deviate from those instructions from time to time, I'm not quite at the point where I sit down and spontaneously create something truly original, which is what I consider to be the difference between "crafting" and "art". 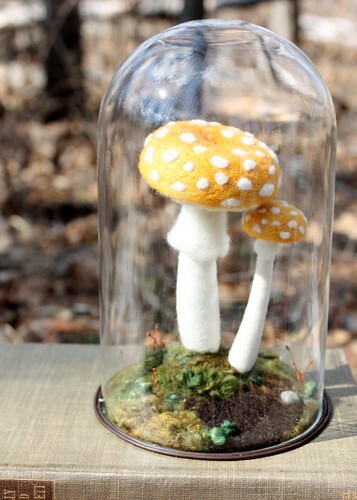 Lisa Jordan's needle felted pieces? They are art. Her unique vision, exquisite attention to detail, sense of whimsy and passion for the natural world shines through in every one of her pieces. She was kind enough to answer a few questions for us, prepare to be inspired! Angel, I finally needle-felted something! 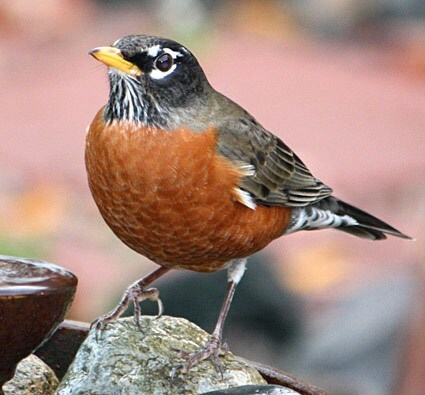 In case you can't tell, it's a robin, along with a nest and 3 robin eggs. I hope you guys are enjoying Felt Week! I've been learning a lot about needle felting, a craft that Angel has told me about for years but that I finally discovered for myself this week. 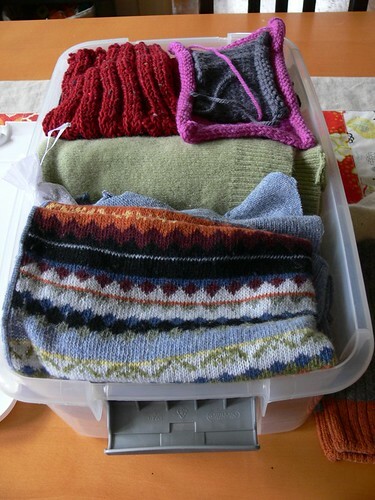 More on that tomorrow... For now, I'd like to focus on a different kind of wool felt: felted old sweaters! Wool and felt come in so many forms and are used in a variety of ways in the worlds of craft and fashion. One super cool aspect of the felting process is that it can allow you to re-purpose old woven or knitted wool items that would otherwise sit in a closet and feed moths. Got some sweaters? Throw them in the wash. 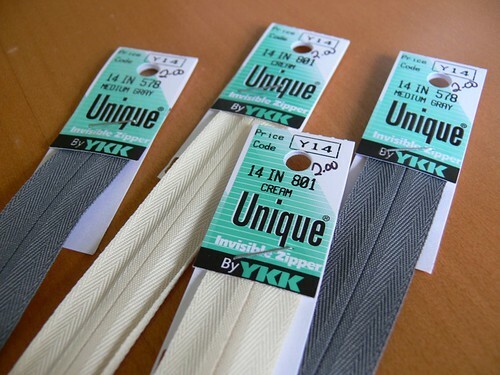 Enjoy your new felt. Yes. It's about that simple! Sew Tina! 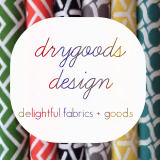 + Alewives Fabrics Giveaway Winner!